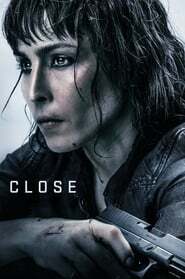 Netflix has marked World Women’s Day with the pickup of “Close,” a female-led, adrenaline-charged action-thriller starring Noomi Rapace. The Benedetta streamer has sealed a multi-territory deal for the film that includes the U.S., U.K. and Australia. Netflix picked up “Close” from WestEnd Films, which had it under the banner of its female-skewed WeLove brand, which is aimed at developing and producing Troupe Zero female-specific content and promoting female talent. Inspired by the life of bodyguard Jacquie Davis, Polaroid the film stars Swedish actress Rapace (“The Girl With the Dragon Tattoo”) in the lead role. Sophie Nelisse (“The Book Thief”), Eoin Macken (“Resident Evil: The Final Chapter”), and Indira Varma (“Game of Thrones”) also star.